£100 can complete a whole project, imagine what hundreds could do!! I want to help make a real difference while I'm out there so would really appreciate any donations given. •Other items in need outside of the classroom: underwear, shorts for boys, skirts for girls, girl’s bras and sanitary pads (often girls do not go to school for lack of pads – Tampons are not used in poorer areas). Flip flops, rehydration sachets, painkillers, antiseptic cream and cheap reading glasses. •Things for building/repair work: materials we will have to buy out there, strong work gloves, clothes for them to get dirty. As you can see there are so many little things we can buy to take with us & buy out there (building materials) which will make a huge difference more than we could imagine. 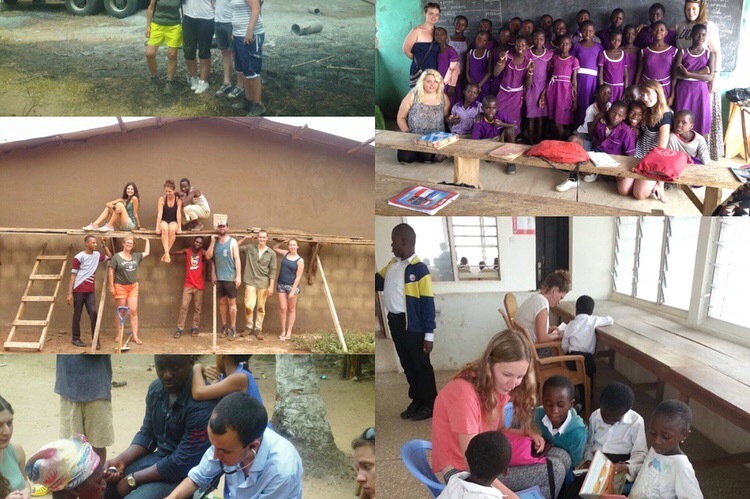 Help me raise as much money possible to help those in need in Ghana, I will be very thankful for any donations given.